Our Practice Nurse Brenda McKibbin is responsible for all of these clinics. If Patients are unable to attend a clinic a separate appointment may be made at any of her surgeries – Patients should inform Reception Staff as to the nature of their appointment. Throughout the year Ashley Medical Centre provides specialist clinics for chronic disease management, health assessment and health education. Patients are invited to attend clinics, based on clinical information and to ensure best clinical practice and to maintain or prevent further exacerbation of disease or illness. New patients registering with Ashley Medical Centre must have a Health Check. These checks are free of charge and enable the Doctors and Nurses to assess and monitor your health needs and offer appropriate treatments. Please make an appointment with our Nurses. Appointments may be arranged with the doctor or for factual information, advice or treatment on all aspects of family planning and sexual health (including the morning after pill), cervical smears and sexually transmitted infections. Cervical Cytology is carried out rountinely by our Practice Nurse Brenda. Doctors within Ashley Medical Centre carry out a number of minor surgery procedures including the removal of skin tags, warts, cysts and moles. This is carried out in our treatment rooms assisted by our nursing staff.This service is available once a month on a Tuesday afternoon. Referrals to this clinic must be made from one of the Doctors in Ashley. Ashley Medical Centre provides travel advice and vaccination for Patients travelling abroad. Patients travelling should collect a Travel Questionnaire from Reception. They will be contact with a suitable appointment with the Nurse for advice and vaccination. They may be asked to collect Prescriptions for vaccination prior to their appointment with the Nurse. NO TRAVEL ADVICE will be given over the telephone. Some vaccination programmes may last several weeks so Patients are advised to consult as early as possible. Travel vaccination is the responsibility of Patients and this includes allotting time for assessment of need, obtaining and receiving of vaccination(s) to ensure their effectiveness. 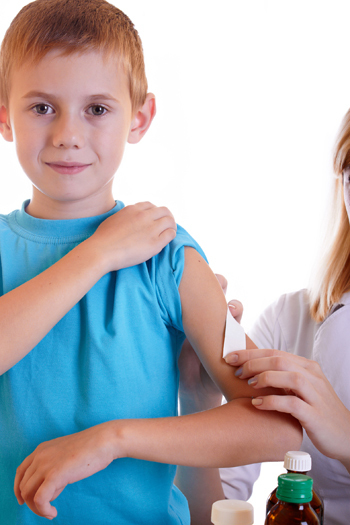 Some vaccinations are not NHS funded and may attract a fee and/or Private prescription. The Baby Clinic is held on Wednesday Mornings for immunisations only. The Health Visitor is no available for advice, and will visit Patients in their own home. Patients who need to speak to the Health Visitor should telephone: 02891515354 and leave a message. Ashley Medical Centre provides Smoking Cessation support, advice and counselling to Patients. Appointments are available Monday to Friday, with either our Practice Nurse or Smoking Cessation Counsellor. As per DHSSPSNI guidance, all Patients who smoke are referred annually to the Smoking Cessation Advisor. All new Patients who smoke are automatically referred to the Smoking Cessation Counsellor. Nicotine Replacement Therapy will not be issued by GPs unless Patients have attended the Smoking Cessation Clinics. Screen for STI's normally previously required Patient to attend a Hospital Based clinic. From the 1st May 2012, these tests can be carried out by our Pracitce Nurse in the Surgery. Patient should make a double appointment with the Practice Nurse and bring with them a completed questionaire by following the link provided. This service is entirely confidential but where Patients are considered to have a higher risk of infection they will be referred to on to a Hospital Clinics. Patients are requested to wait at least ten working days before telephoning the Surgery for the results of blood and other tests. This gives time for the tests to be processed by the laboratories; results viewed and interpreted by Doctors and Nurses who will make decisions about any course of treatment. 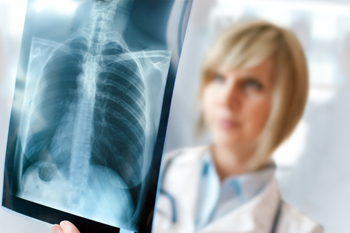 Tests or results that require immediate action or treatment will be dealt with appropriately, in some instances the Doctor or Nurses may telephone the patient directly. Cervical Smear results as well as some types of blood tests can take up to a month to process and we would ask patients to refrain from contacting the Surgery unnecessarily as this creates pressure on our telephone lines and the time taken by staff in retrieving information not yet available. Unless we have the express written permission, to ensure confidentiality, test results will only be given to Patients themselves. Urine samples for analysis may be left in 8.30 – 1.00pm. They are initially tested by the Nurse and if deemed necessary sent to the laboratory for analysis. Urine samples left after 1.00 cannot be tested in the treatment room and not viable for testing the next day. Urine samples tested 8.30 -1.00pm Patients should telephone after 4.30pm for results. Our Practice Nurse Brenda; Treatement Rooom Nurse and our Healthcare Assistants Janina, Lynn and Kirsty provide treatment room services. Due to the increased pressures on laboratories and the costs associated with inappropriate testing, GP PRactice have been issued with guidance regarding the clinical indicaiton for frequency of testing. 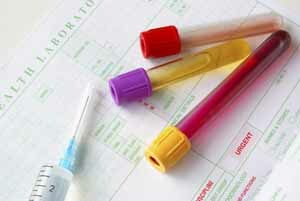 The most frequent test performed is cholesterol. We have set out below informatino for Patient on how to have their cholesterol tested and how often. All other healthy adults the recommendation is 5 yearly. 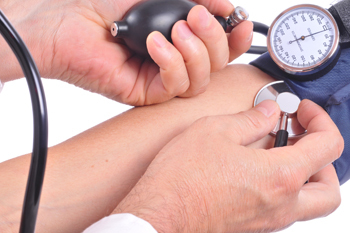 Patients who are not eligible or who are requesting tests too frequently will be referred to the Doctors. Please help us reduce the pressure on the Practice and Laboratories by adhering to this guidance. If you are in doubt, please speak with our Nurses or Healthcare Assistant who will be happy to advise you. Flu and Flu like illnesses are increasing in the community. Patients eleigible for flu vaccination and who have still not received their vaccination are encourage to do so as soon as possoible. This includes women who are Pregnant at any stage. Carers (Those in receipt of carers allowance; or are the main carere or carer for eldery or disabled person) NOT for Health and Social Care workers or Care workers in the Private sector. These individuals should be vaccinated by their employers. Patient 6mths - 65 years with chronic respiratory disease; chronic heart disease chronic kidney disease; chronic neurological disease; diabetes; Immunosuppressed through illess or medication; living in long stay residential or nursing homes. Patients should make an appointment at reception. Medicals for HGV and PSV; Sporting activities; Firearms etc.